Successful Burroughs alumni that often come to mind include exceptional actors, such as Jon Hamm and Ellie Kemper and athletes, such as Ezekiel Elliott. One JBS alumnus, Foyesade Oluokun ‘13, linebacker for the Atlanta Falcons, seems to remain underappreciated compared to Elliot. Oluokun, son of two Nigerian immigrants, played football, basketball, and baseball at Burroughs, and like many star athletes, was recruited to study at Division I schools. However, fully expecting to continue an academic career post-college, Oluokun made the decision to attend Yale University. While earning a degree in both business and economics, Oluokun had almost no free time. “I will say being [an] Ivy athlete and constantly being busy with other things, when you’re finally able to just focus on one thing for a living, it is a lot less stressful,” Oluokun said. Upon graduation, Oluokun didn’t immediately choose to become a lawyer or businessman as many of his fellow classmates had. Instead, Oluokun followed his dream of playing as a linebacker in the National Football League (NFL). Oluokun’s preparation and determination in and out of school finally paid off, because, at age 23, he became the third-leading tackler on the Atlanta Falcons. 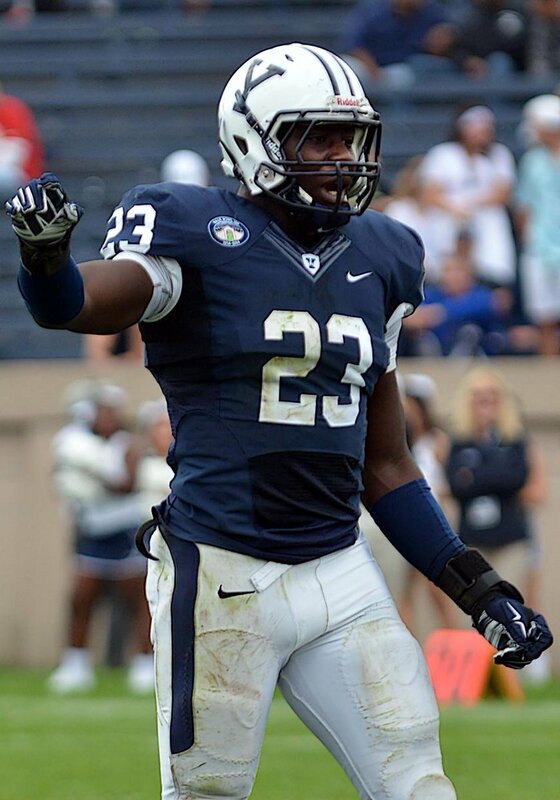 Just months earlier, Oluokun was an undrafted free agent out of Yale. When asked to give advice to a student-athlete at a smaller school like JBS, Oluokun said that it is the high caliber of Burroughs sports that keep the attention of important Division I schools. “Keep that underdog mentality and always dedicate yourself in whatever you do to reach your own expectations,” said Oluokun. “Other people can’t dictate how good you get at something; it’s all about the work you put in yourself. Although Oluokun’s remarkable story seems to be a rare case, his determination and dedication for success is admirable. As a humble Burroughs alumnus, his words can serve as a great influence on any JBS student.